Recently, Isabelle Lancray introduced another allure from the City of Love, where French women are admired for their confidence and charisma. They can be simple and chic at the same time. 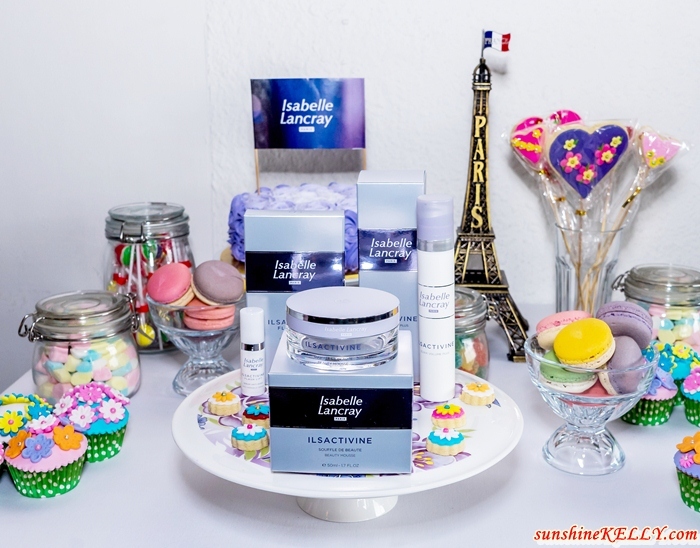 The “food cosmetics” trend came about when skincare products started to contain ingredients that follow dietary habits or have textures and smells that are based on food, such as ice cream, mousse and sorbet. 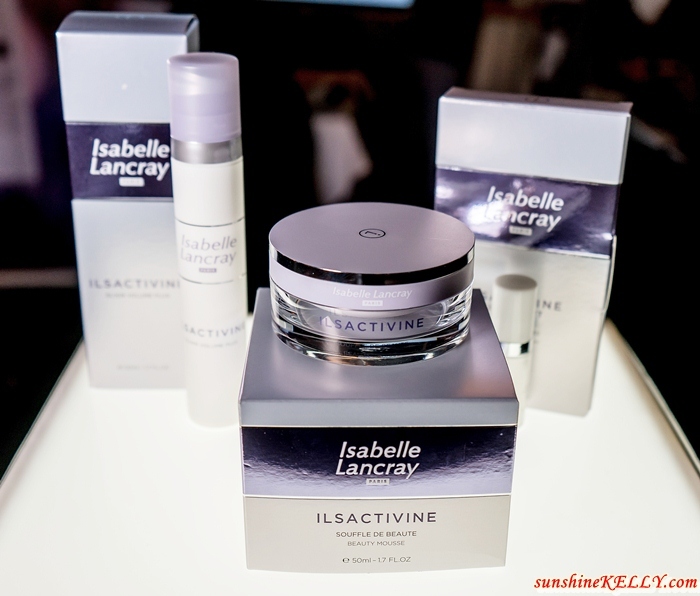 The new ILSACTIVINE range, Isabelle Lancray has taken up this trend with a trio of products containing innovative vegan formulas that whisked up a smooth and youthful skin. The textures of the products are formulated so that they can gently melt into the skin, delivering ultramodern anti-aging care for the highest cosmetic demands. Isabelle Lancray ILSACTIVINE the sustenance for the skin with vegan which comprises of the “Souffle De Beaute”, a regenerating innovative cream mousse with light UV protection; the “Elixir Volume Plus”, a sorbet that gently melts into the skin for a plumping effect; and the “Flash Lift”, a light liquid textured to firm and even the skin tone, and bringing about an optical reduction of wrinkles. The active ingredients in Isabelle Lancray ILSACTIVINE series such as walnut extract, cranberry seed oil, southern ginseng, vitamin E, brown algae and microalga porphyridium cruentum is a polymer matrix ideally adapted to the requirement for skin firming. It’s an innovative cream mousse with light UV protection as a regenerating beauty care for day and night. With this regenerating cream mousse one can experience a state-of-the-art complex of purely plant-based repair ingredients that are rich in antioxidants. Your skin will feel smoother, more toned and supple. This serum is for skin plumping with a special sea fern extract (extractum filicis) reactivates worn-out cell functions and optimizes the supply of nutrients. The natural cranberry seed oil and vitamin E provide the velvety soft skin feel. This is a firming 2-in-1 product specially designed to smooth out fine lines in the eye area and around the mouth area in the long run. On the one hand, surface-active natural ingredients quickly ensure visible firming of the skin and wrinkle depth appears reduced. On the other hand, deep-action ingredients activate the skin’s natural regeneration processes with long-lasting skin-toning effect. 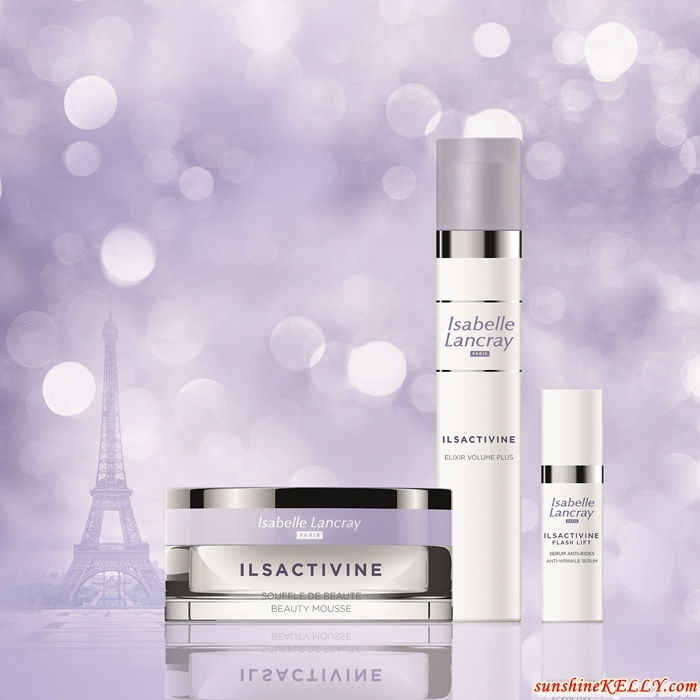 Availability: The Isabelle Lancray products are available at over 40 beauty salons nationwide.